Family Law Assistance for Less. Life is full of surprises, it can come at you hard and fast. Despite your best efforts to stay in control, sometimes unexpected challenges can arise. Filing for bankruptcy, a divorce, a child custody battle, or a criminal charge (such as a DUI) can leave you wondering where to turn for help. With Contacting a trusted and experienced Phoenix or Tucson, Arizona Family Law, Criminal Law, or Bankruptcy attorney may be one of the most important calls you ever make. Our Phoenix, Glendale, Mesa, and Tucson, Arizona lawyers are experienced divorce and family law attorneys, affordable bankruptcy lawyers, and trusted criminal defense attorneys. Our law practice is statewide with offices in Phoenix, Mesa, Glendale, and Tucson, Arizona. 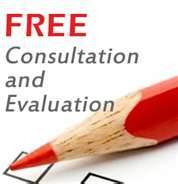 Initial consultations and case evaluations are free. Contact our Arizona law office today. There may be no greater threat to a person’s future and financial well being than an arrest, a divorce, or filing for bankruptcy and there is no greater challenge than finding an experienced and trusted Arizona lawyer who will fight for and protect a client’s rights. Call For a FREE Consultation. 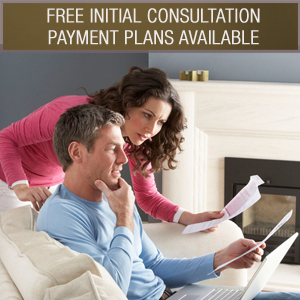 We Offer Payment Plans for Every Budget. results-oriented representation at an affordable fee.Our Phoenix, Scottsdale, and Tucson lawyers, attorneys, and staff make up an experienced and competent full service law firm. Our Arizona law firm’s philosophy is to help you through your family law, criminal law, and/or bankruptcy matter as quickly, easily, and as cheaply as possible. Litigation in criminal, family law, DUI, and bankruptcy cases is never a simple thing, but our Phoenix, Mesa, and Tucson Law Offices can help minimize your stress by taking the burden off of your shoulders. Let us help you through your difficult time.We handle paternity, divorce, legal separation, visitation, child custody, spousal support, child support, domestic violence, division of property, and any other family law related issue including: Chapter 7 and Chapter 13 bankruptcy, debt settlement, and debt negotiation. In Arizona family law court, it is not unusual to see people representing themselves without the use of an experienced Arizona family law attorney. In some Arizona family law cases, this may be an OK idea and probably economically feasible, however, in many Phoenix and Tucson family law cases, it is probably not the best option. Seek out a qualified, affordable, and trusted Scottsdale, Phoenix, and Mesa family law attorney.Before you make any decision regarding your family law issue, please call our Maricopa or Pima County family law offices for a free consultation. Our Phoenix and Tucson family law lawyers can discuss what is the best way to handle your family law situation. Sometimes by representing themselves, people do more harm than good and end up having to hire an experienced Tucson or Phoenix family law attorney, paying more money to undo the damage they caused in Arizona Family Court by not starting out with a qualified family law attorney. Affordable Bankruptcy Lawyer and Criminal Law Attorney in Phoenix, Arizona. Our Arizona Law Offices See the Big Picture and Strive to Keep Your Legal Costs Down Our Scottsdale, Phoenix, Glendale, and Tucson Family Law, Divorce, Custody, Criminal Defense, DUI, and Bankruptcy Lawyers share a passion for big-picture problem solving.